Micheal Donoghue has received a significant boost ahead of next month's Leinster SHC with the confirmation that towering attacker Johnny Glynn is set to rejoin the Galway fold in the coming weeks. 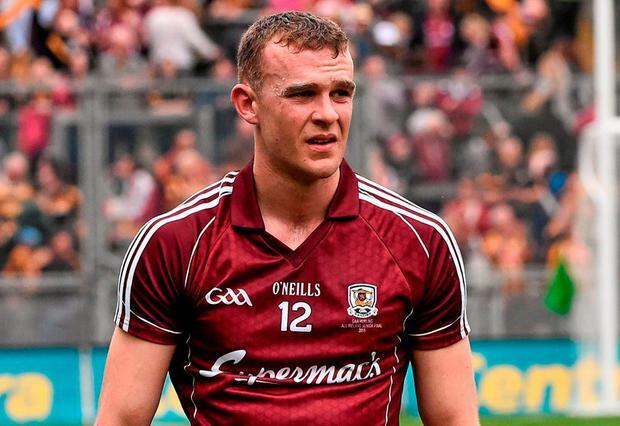 Glynn, who is based in New York, will continue his inter-county career against all the odds with the 25-year-old set to be on board when the Tribesmen meet Carlow in their provincial opener on May 12. With former Hurler of the Year Joe Canning potentially sidelined for most of the Championship and Conor Cooney also an absentee with an ankle injury, it's a major lift for Donoghue's squad. The Ardrahan forward - who earned an All-Star nomination last year after some inspirational displays - didn't feature in club action in recent weeks but is set to return from the Big Apple as they look to avenge the All-Ireland final defeat to Limerick last August. Joseph Cooney's future is less clear, however, and it's up in the air whether the Sarsfields attacker will return from his travels this year.